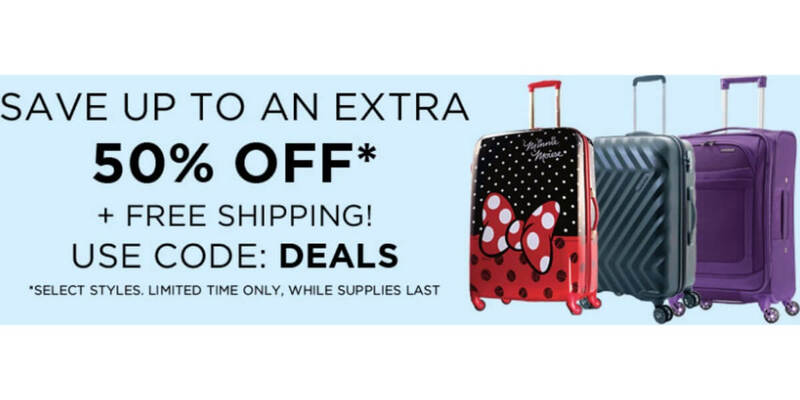 Pick up a cute Disney carry-on for your upcoming trip! American Tourister.com is offering an Up to 50% Off Select Luggage with code DEALS. Select items on sale qualify for an Additional 10% Off with code XTRA10 Free Shipping too!